I woke up at 6:20, but laid in till 6:35ish. I want to have a day where I can sleep in for a good 10 hours, but that would a total waste of my time in Japan! For breakfast I had the mighty toast and eggs once again! (Thank the lord I don’t grow sick of bread nor eggs). Today was semi-important day, because I had to take a quiz that would determine if I could be moved up to the next Japanese level here in Ritsumeikan. I felt pretty good about the exam, so hopefully they move me up…because i have missed about a week of class already…UGH. Anyways, the quiz came and went along with class. For lunch I made myself another bento (cause money). 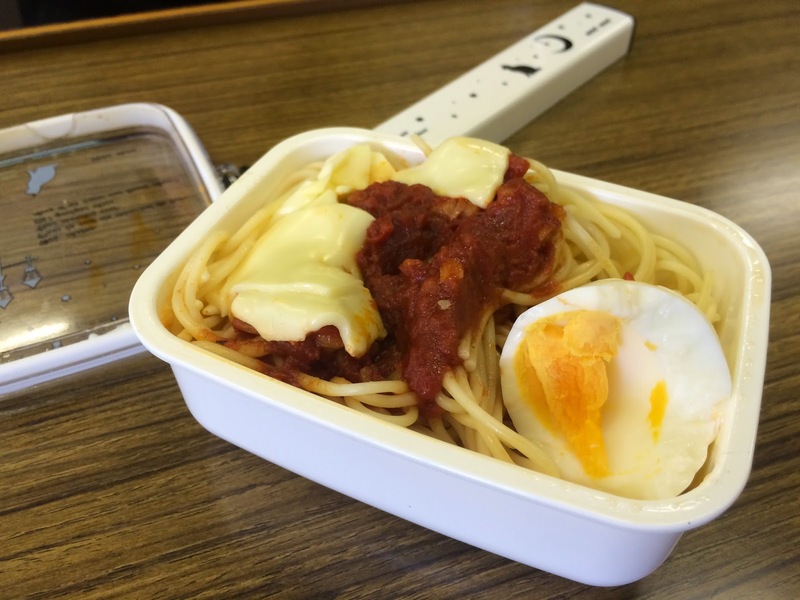 It was spaghetti with tomato sauce, awkwardly cut cheese and a random boiled egg. 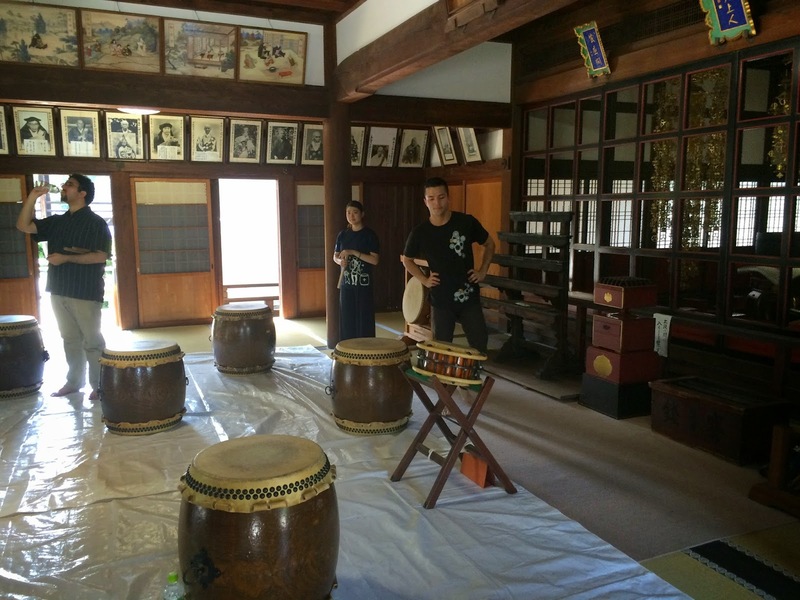 The excursion for today was Taiko drums. 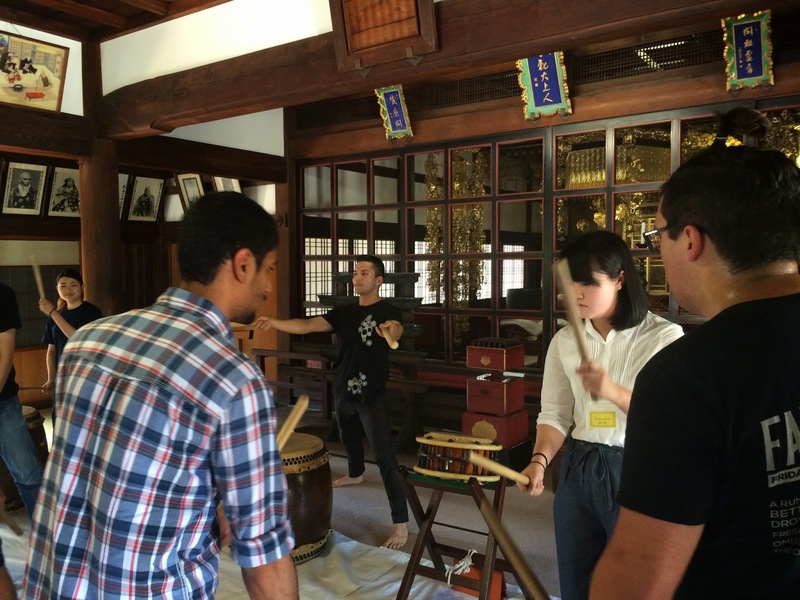 A Japanese form of drumming. And we were able to attend a class and learn to play a bit. (I only got one blister thanks to my years as a percussionist). It was extremely fun! I shared a drum with Mitch and Elaine and we drummed together. Also, Franz broke two drum sticks and the teachers congratulated him on they job. (A++ for Franz). After the Taiko excursion Maho, Hikaru, Franz, Pam and I went karaoke. It was a two hour long session and it was oodles of fun. Karaoke is completely different from the States. In the States if you want to karaoke you either sing at a party of some sort or find some random bar with a karaoke night. Karaoke is really big in Japan, there are tons of buildings, floors and stores just dedicated to karaoke. 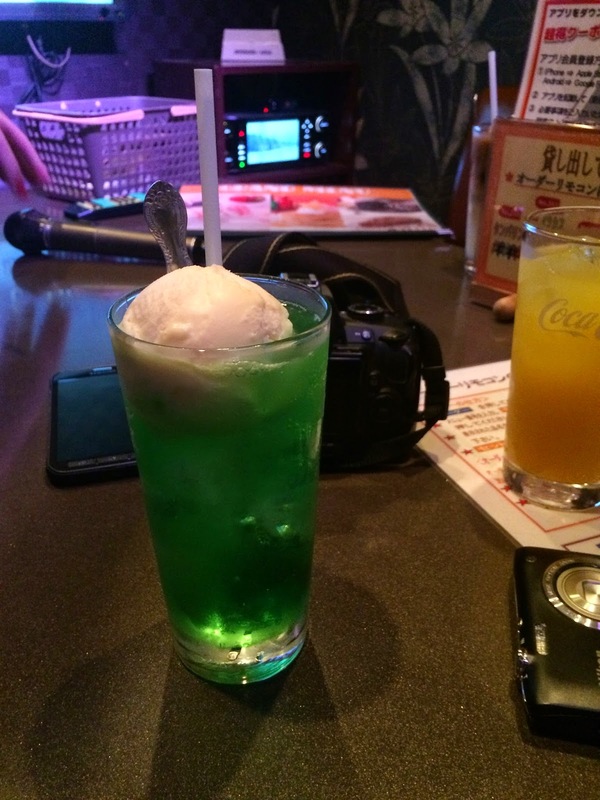 During our karaoke I bought a cream soda float and for some odd reason it was green. I was really surprised by how much I sang in the karaoke room, My throat hurts a little. As you may already know I really love CardCaptor Sakura, it is one of my all time favorite animes/manga/series. So I looked up the songs from the anime’s opening theme to see if I could sing them. because when I was younger I actually knew the songs in Japanese pretty decently. To my surprise, I still knew the songs very well. They are stored somewhere in my long-term memory. Maho and Hikaru were so surprised and amused by me. I was singing in Japanese. It was insane…also…opening theme songs for animes are a lot shorter than the actual song themselves and the song offered in karaoke was the full length. I sightread a bunch of Japanese words and I did pretty well (one of my proudest moments). By the end of the session all four of us were extremely hungry and went out to eat. 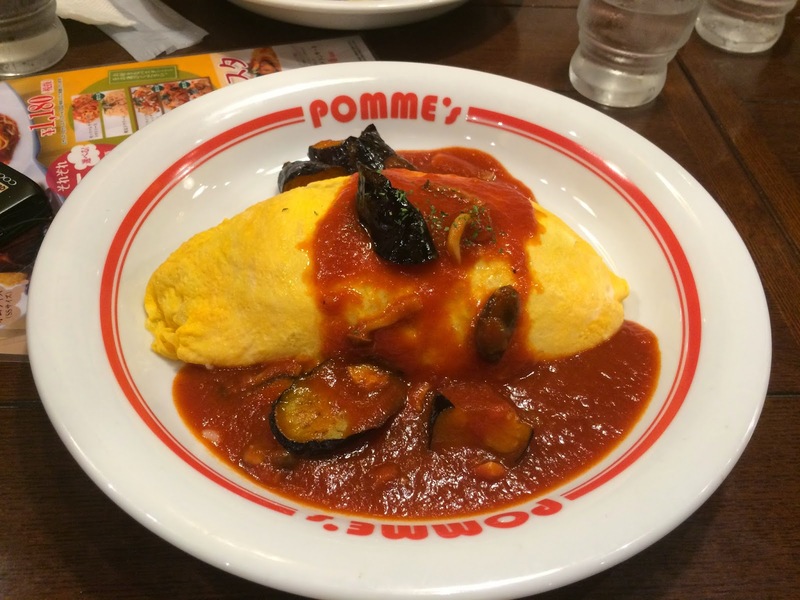 We ate Omurice at a restaurant called Pomme. Omurice is a egg and rice dish where you wrap an omelet typing thing around some rice and then drown it in some sort of sauce. I got one with shittake (mushrooms) and it was so good, but it was a lot of food and I did not finish it. We stayed in the restaurant for an extra two hours because the four of us and two of Hikaru and Maho’s friends showed up (their names escape me). 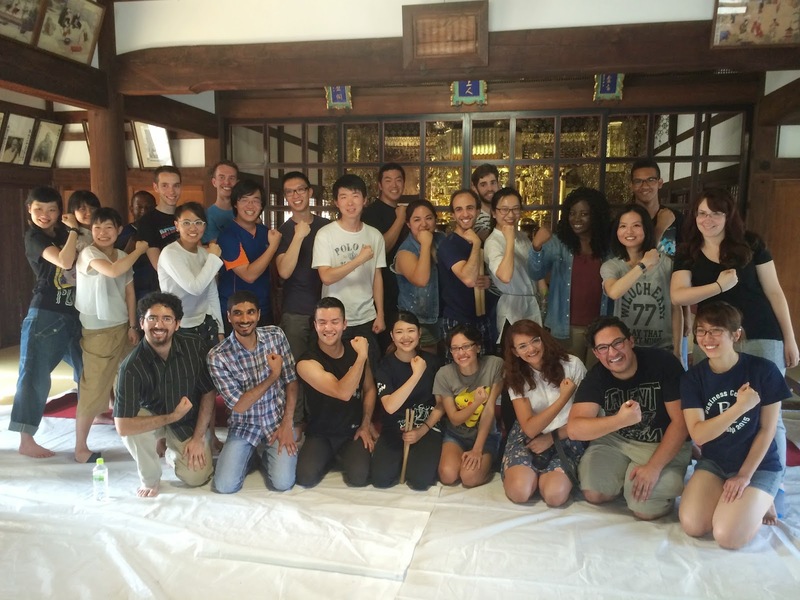 Believe it or not, I am actually getting better at Japanese…or at least I think/hope I am. I at least feel more comfortable speaking it and more comfortable screwing up. And all the buddies are so sweet that they always correct you and try to make sense of you badly worded sentences. They are all precious.